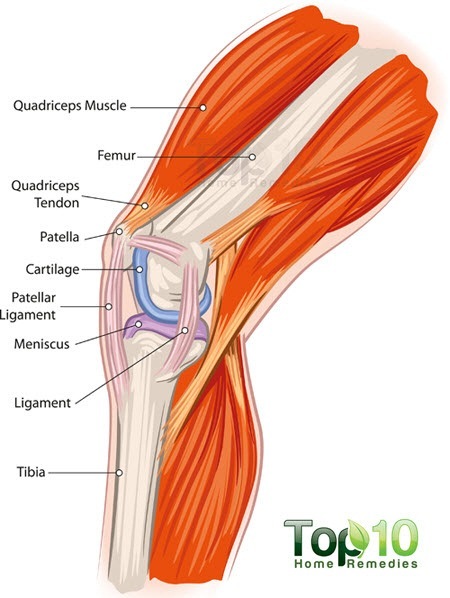 The knees, while simple in their structure; are difficult if not impossible to harmonize with if one has no idea of what efficient body mechanics are and how the structure repairs and maintains itself. More times than not, the sight of your pain, is not where the cause of your pain is, harmonizing with your knee should include addressing the core, hip and ankle joint. Arthritis, in any joint, is merely a symptom of acidic blood and/or faulty body mechanics over time. If there was no trauma, was "arthritis" alone the cause of pain? Then ask yourself why every single 80 year old does not complain of pain in all of their joints? Or if you want to chalk your pain up to “old age”; then what about all of your other joints that don’t hurt; are those somehow younger than the painful one? I'm of the mind that conscious healing results from a simultaneous comprehension of the soma as a whole entity – externally, energetically and internally. Cultivating body wisdom encourages self-reliance, which demands at the very least, that you try new things and move into new territories which most times includes a degree of therapeutic discomfort. So here's the deal, it's going to hurt no matter what you do. whereas if you do something, although you will experience some therapeutic discomfort, eventually you will regain your movement. The very first thing you need to do is to get into a practice of soaking your feet, in fact you probably should figure out a way to incorporate regular soaking into your day, at least until the pain subsides. Here are a few tips for your bath; - The water should sit for at least half an hour so that the chlorine dissipates; draw the water hot and let it cool till it suits you. - the body goes through two phases; a purging phase when the water temperature is above the body's temperature, and a sort of absorption phase when the water is at the body's temperature or below. - If you're feeling achy add aspirin (not Advil, not Tylenol...aspirin) start off with 20 or 30; - I use about 50. - If you're feeling tired or blue use hydrogen peroxide (H2o2) start off with 8 ounces and increase till it suits you - I use about 64 ounces. Prepare a paste by mixing two tablespoons of cayenne pepper powder with one-half cup of warm olive oil. Apply this paste on the affected area twice daily for at least one week. You can also mix one-quarter or one-half teaspoon of cayenne pepper powder in one cup of apple cider vinegar. 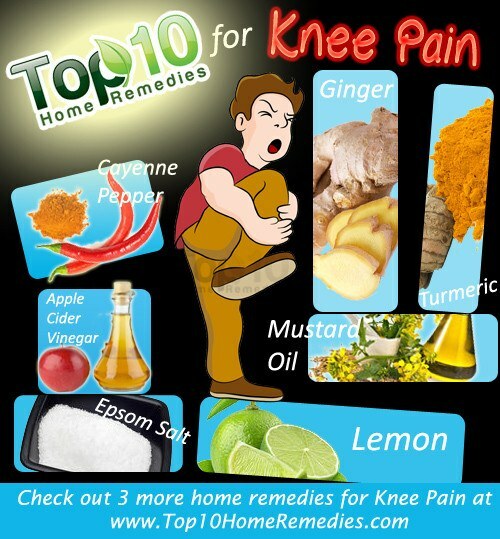 Soak the affected knee in this solution for 20 minutes once or twice daily until the pain and inflammation is reduced. Add a small piece of ginger root to one cup of water and boil it for 10 minutes. Strain and add a little honey and lemon juice. Drink two to three cups of this ginger tea daily until the pain is gone. Cut one lemon into small pieces. Tie the pieces in a cotton cloth and dip the it in warm sesame oil.